Kayla Popuchet, Omowale Clay, Monica Moorehead. 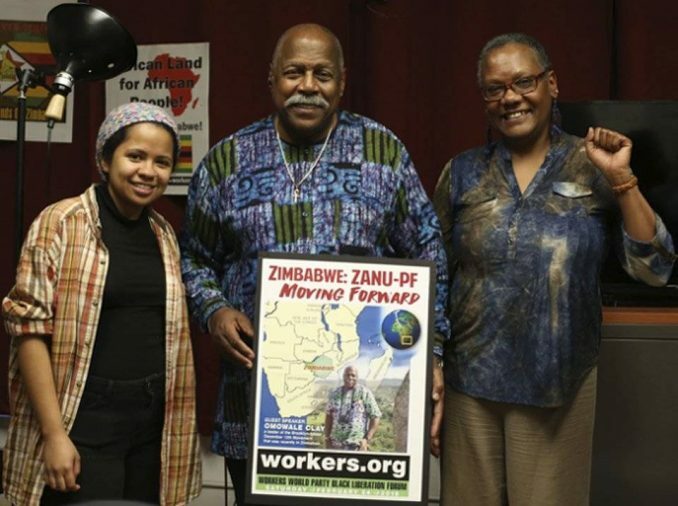 The New York branch of Workers World Party held a Black Liberation forum Feb. 25 on “Zimbabwe: ZANU-PF moving forward” with guest speaker Omowale Clay, a founding member of the December 12th Movement, a Black organization based in Brooklyn, N.Y. Members of D12 have traveled on numerous occasions to the southern African country to extend solidarity to the anti-neocolonial struggle there and against attacks by U.S. and British imperialism on Zimbabwe’s sovereignty. Clay provided an extensive explanation of the internal situation within the ruling ZANU-PF party that led to the resignation of President Robert Mugabe in December. He went on to say how the new ZANU-PF leadership, with grassroots support, has pledged itself to continue the decades-long struggle to return land seized by white colonial farmers to its rightful owners, the Zimbabwean people. Kayla Popuchet spoke of her recent trip to Durham, N.C., along with other New York WWP members, to show solidarity with defendants who were on trial for taking down a racist Confederate statue this past August. 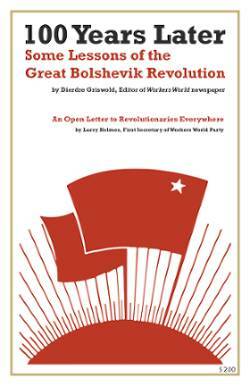 Both felony and misdemeanor charges were dropped against all the defendants due to the power of the mass movement, Popuchet stated. Monica Moorehead chaired the forum.